Not everything the Tesla CEO touches turns to gold. If you want an indication of just how highly Elon Musk is regarded by at least some sections of the general public, a recent online petition was started to award the Tesla and SpaceX CEO a Nobel Prize in Economic Sciences. That may not be enough to convince the committee in Stockholm, but Musk is seemingly busy delivering on his promise to reinvent the future. Tesla’s newest ‘affordable’ electric car, for instance, racked up 275,000 reservations in five days (it won’t be on the market until end of next year earliest). But amid all the hype, there’s a danger Musk is letting expectations run away from him. Entrepreneurs like Musk need a certain level of self-confidence to make their visions reality and often seem three steps ahead of everyone else. So tempering expectation is likely low down his to-do list – more likely he’ll stoke the excitement (Musk recently said on Twitter that the new Tesla Model 3 interior will ‘feel like a spaceship’). But he’s far from infallible. A relatively trite example is his ongoing dispute with British green energy firm Ecotricity. A partnership between the two fell through and Tesla lodged a complaint with the Advertising Standards Authority about claims Ecotricity makes on its website, saying it supplies ‘Britain’s greenest’ energy. Tesla promptly had that complaint dismissed, and has instead, just ended up looking petty and worried about competitors. It's a reminder that Tesla might be leading the conversation, but it's not the only one taking part. When it comes to delivering on cars, that’s also been a tightrope to walk. The company has established a pattern when it comes to missing self-imposed deadlines – it has yet to ship a new model on time. And earlier this week Tesla acknowledged its own ‘hubris’ for over-engineering its Model X crossover, making it difficult to produce in volume. As a result, 14,820 cars were delivered in the first quarter, falling short of the expected 16,000. While not everyone who has reserved its newest model will necessarily go onto buy it, this does raise questions over whether Tesla will be able to match expectations (and that’s before delving into concerns about who the newest model will actually be all that affordable for). 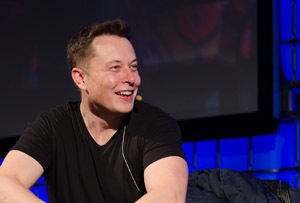 Read more: Will Tesla take off in 2016? The company’s also running pretty low on cash reserves (under $1bn or £710m, and continuing to decline) which adds more uncertainty. But investors continue to place their trust firmly in Musk and the buzz around the Model 3 will likely have reaffirmed their faith. While its rivals have yet to pique interest in the way Tesla has with its cars, deeper-pocketed competitors may yet steal a march on the electric car market. Much – if not all – of what Musk and his companies do is disruptive and in that respect, what he continues to do is incredibly impressive. But with that territory also comes not just teething problems, but often significant setbacks and mistakes in judgement. And Musk isn’t safe from that. Impossibly high expectations could set him up for a stumble, if not a fall, further down the line.